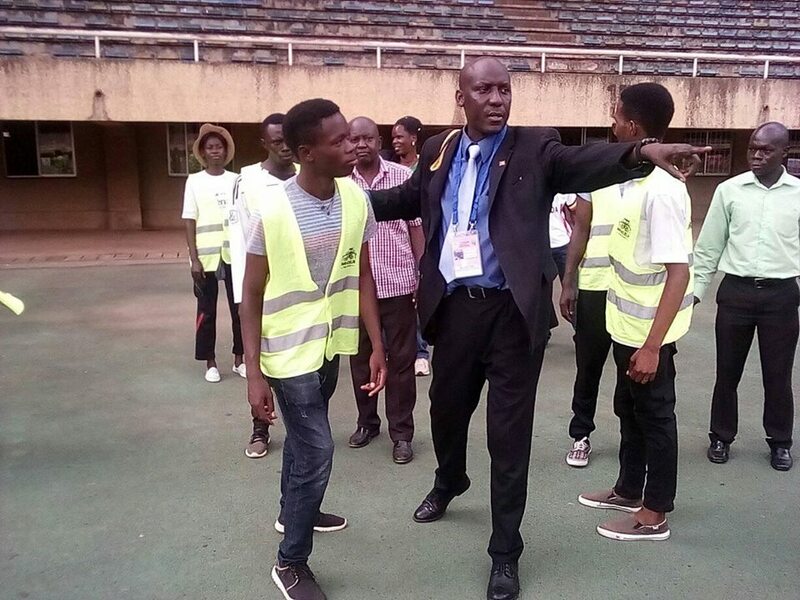 If you you have ever been at the Mandela National Stadium Namboole for any Uganda Cranes duty, you have seen a tall dark-skinned muscled gentleman (lead Steward) seen every minute running around the pitch with a radio call giving his Stewards command. Yeah, this one… he goes by the names Dixon Okello. 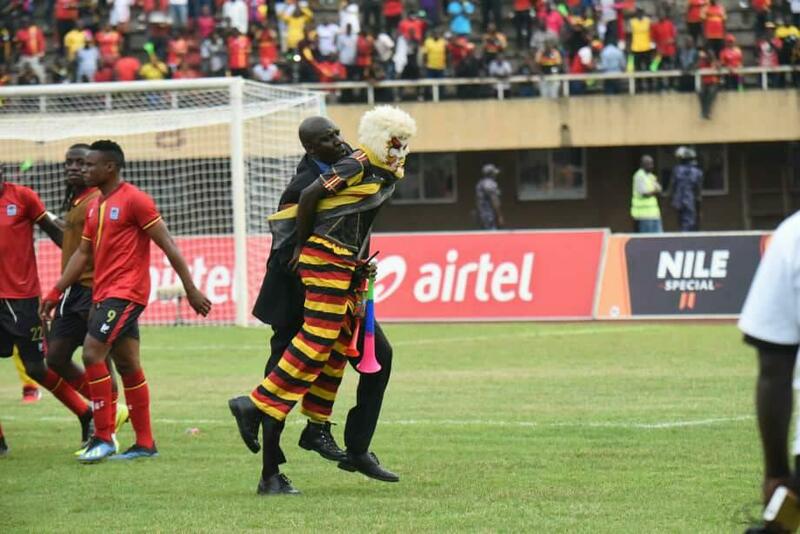 Recently, as the Cranes were flying back high to AFCON Finals that will be hosted in Cameroon, June 2019 after the final whistle against Cape Verde, overly excited fans were seen invading the pitch to at least get a souvenir handshake with their stars. But as usual, every where was either Dixon Okello or his boys, there was no way to pass. As it is always a bad ending for pitch invaders, Okello’s security men and women were seen running after and catching every one who tried to disturb the peace of the players and officials like ‘Masaka’ grass hoppers before Uganda Police came in to keep the spectator fans in their stands. 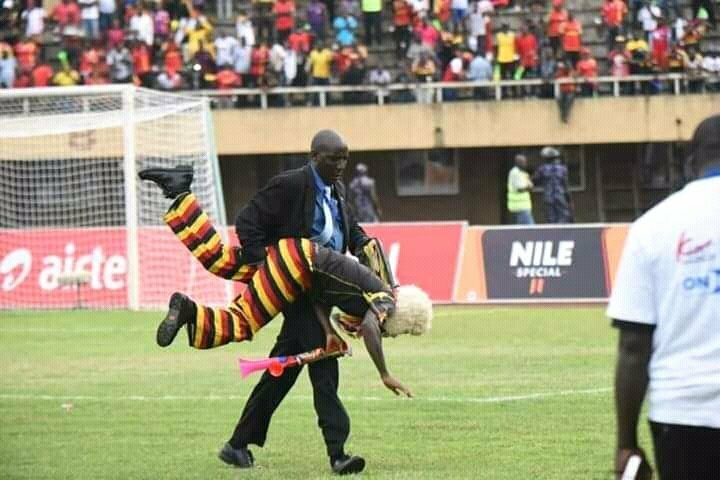 However, as the lead guard, you have to always demonstrate the baddest move, Okello was seen holding the exuberant pitch invader dressed like a clown by the balls, yes, those ones!! and dragged him like a carcass out of the pitch. For exhibiting such an international skill on TV, we hear that it might be the reason why he was invited to keep peace in the return leg of the CAF confederations Cup finals return leg between AS Vita Club and Wydad Casablanca on December 2.